Jazzed Up Coconut-Cilantro-Lime Brown Rice. 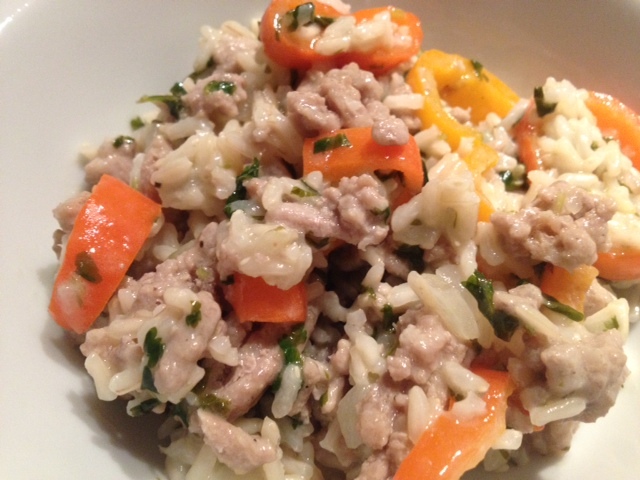 Coconut-Cilantro-Lime Brown Rice With Ground Turkey & Baby Bell Peppers. 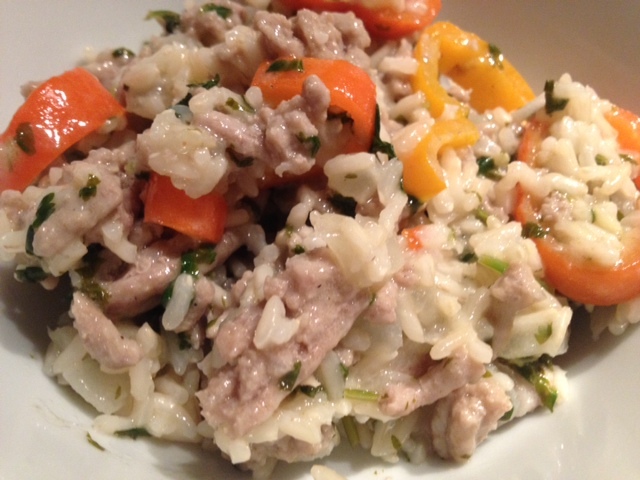 This is a jazzed up, protein-packed version of my Coconut-Cilantro-Lime Brown Rice. I made a big pot of this rice recently and brought it to lunch every day for a week. It is so delicious, filling and healthy. The rice is so creamy from the coconut milk. I ate it with a few slices of avocado on the side – so good! Makes ~8 cups of rice. Pour the coconut milk into a large pot on the stove and bring to a boil. 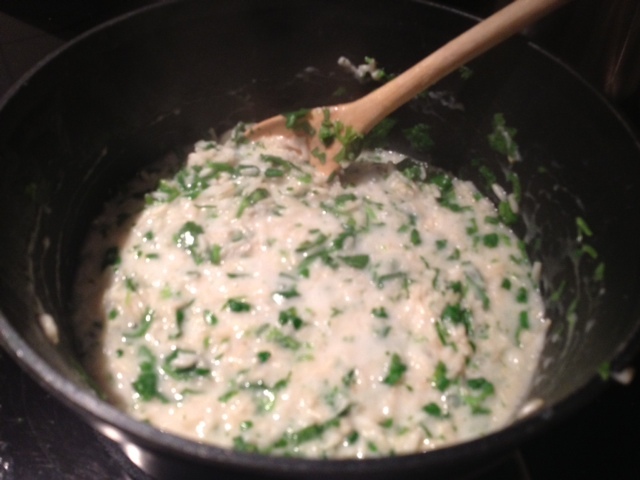 Once the liquid is boiling, add in the rice and reduce the heat to a simmer. Put a lid on the pot and continue to simmer for ~30 minutes or until the liquid has been absorbed by the rice. 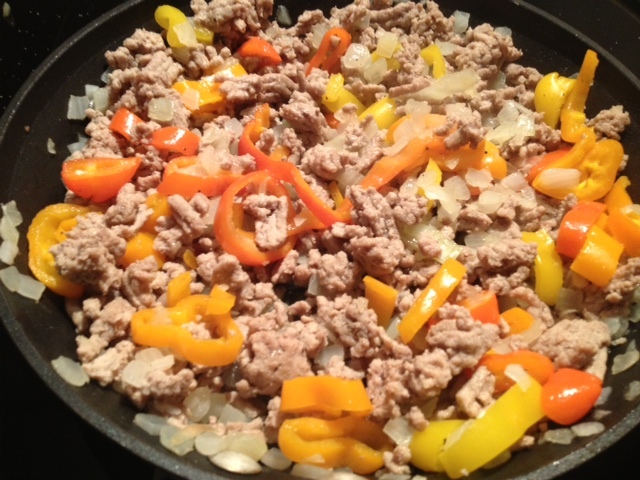 While the rice is simmering, heat the olive oil in a pan on medium-high heat and cook the ground turkey for about 5-7 minutes until lightly browned, and then add in the onion and bell peppers. Continue to cook for about 12-15 minutes until the peppers/onions have softened and the turkey is cooked thoroughly. 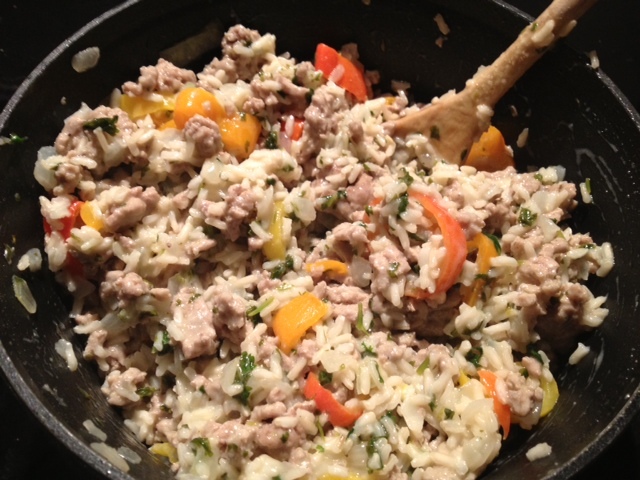 After rice has absorbed all of the coconut milk, add in the lime juice, cilantro and ground turkey mixture. Add a generous dash of garlic salt and black pepper and stir well. ← Betsy’s Baked “Fried” Pickles.